The Cyclone2 series combines top-of-the-line performance and features with an insanely low price point. Highlighting Cyclone2 is the QuantumFoam™ neoprene which is unbelievably stretchy and lightweight. The Hyperflex The Cyclone2 series combines top-of-the-line performance and features with an insanely low price point. Highlighting Cyclone2 is the QuantumFoam™ neoprene which is unbelievably stretchy and lightweight. Additionally, the interior Chest/Back Fullsuit models are equipped with our FireFleece+™ insulation fabric. Cyclone2 also benefits from our new Cocoon-BZ™ Entry Point & Closure System design and also comes standard with GBS seams. 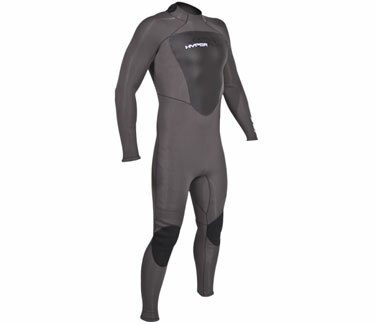 designed with a double wide-hatch opening which allows you to slide in and out of your suit with ease while sealing water out with an anti-flush head gusset panel. a highly abrasion-resistant textile outer surface which does not inhibit movement and adds additional protection and comfort to the knee. a heat-boosting lightweight neoprene layer with a closed-cell outer mesh skin which is also internally-lined with a moisture-wicking micro fabric for comfort and warmth. we double-glue and blind-stitch all seams using a single-needle which does not puncture a hole all the way through the neoprene which prevents water from leaking in while also maintaining a highly flexible and low-profile construction. we infused larger air cell pockets into the foam strata achieving a lighter weight, high-performance stretch rubber that feels like it was sprayed onto your body. eatures a heavy-duty carbon coated stainless steel slider for corrosion resistance and longevity. © Air Padre Kiteboarding, LLC.